to be frankly, i cannot see the pattern from the table. i have different notation in my head 🙂 which is basically similar to what you wrote in your notes. the first one is a “bible” ? hmmmm, oke, a must have ECC book isn’t, it. I was going to observe the “behaviour” of an elliptic curve by changing its generator, and looking for an answer what does happen if I change it. From the discussion yesterday, I understand that each generator will generate different cyclic subgroups. And does it have something to do with security level? Let’s find out. 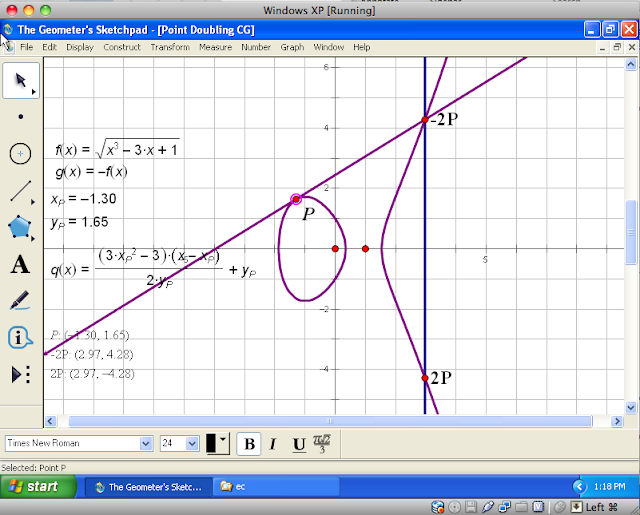 Still thinking about changing other parameters of elliptic curve, and observe the result. Why finite fields? Does it has something to do with “reversible”? Is that a requirement for only elliptic curve? 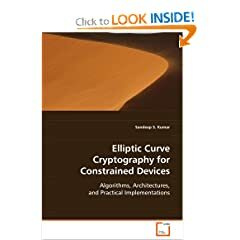 Is it possible for elliptic curve without finite fields? 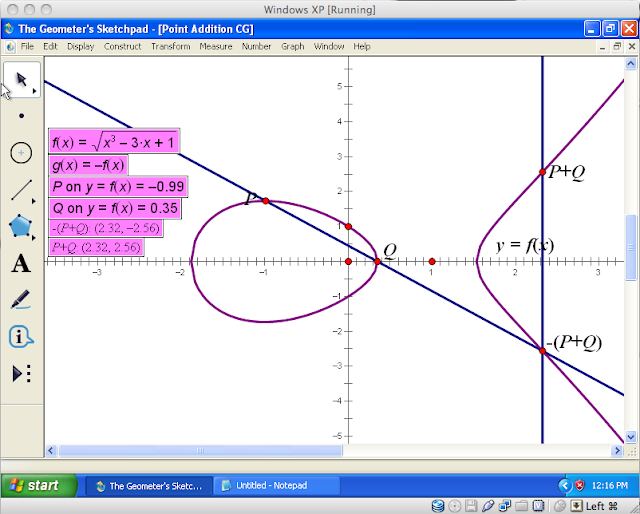 where and are points on an elliptic curve and is an integer. The equation above means that is added to itself times. I am just wondering if the k integer might be a Lipshitz constant. Continuing this, from “Problems of Plaintext Embedding on Elliptic Curve” by Fucai Zhou and Jun Zhang, I’m now focusing on the algorithms of plaintext embedding on Elliptic Curve. 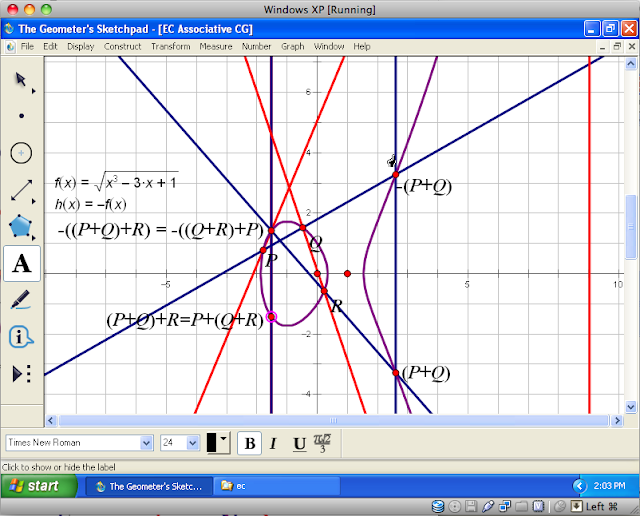 Will explore this more, while also learn about affine, standard and jacobi projective. Also, don’t forget to enter this into you bibliography database. @BR: summary is in progress. already added to the bibliography database. after the summary can you make a presentation in our ecc-study group about this book, please? 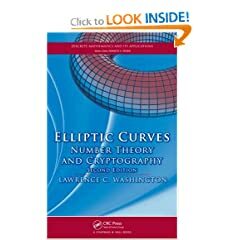 Problems of plaintext embedding are the fundamental problems in elliptic curve public key cryptosystems. A good embedding algorithm will enhance the encryption speed. Plaintext embedding algorithm in binary field presented in the paper is easier to be implemented than that in prime field, and faster. Applying the plaintext embedding algorithm to the storage and trasmission of points in elliptic curve can save half of the storage space and bandwidth.